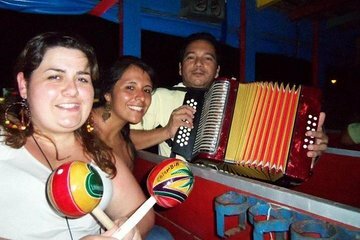 Spice up a typical driving tour with this Rumba en Chiva party bus experience in Cartagena. Listen to live music on board, grab a drink from the open bar, and munch on typical fried snacks as your guide takes you to must-see locations around Cartagena. The tour ends at a disco club inside Cartagena’s historic core, making it a great way to start your night.